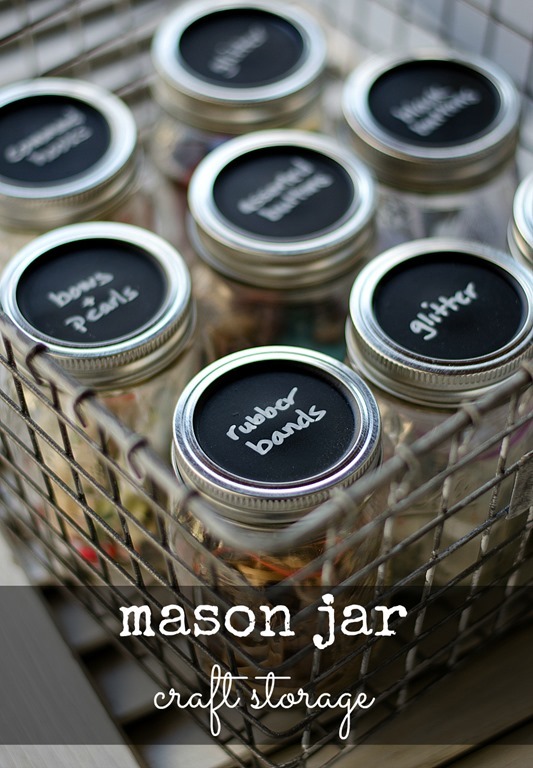 Mason Jar Craft Storage Ideas with Chalkboard Paint Lids. But as I type this while sitting on the couch in my family room … a room that I have yet to show you for a reason … I can’t help but notice the pile of stuff in the corner. Okay, more like piles as in plural in the corners. Some of it is mine. Some of it is my daughters. Nothing of it is my son’s or my husband’s. And that, right there, says a mouthful. My options include: (a) ignoring it, which I’ve done for far too long; (b) embracing and organizing it, which I’m avoiding by the mere fact that I’m writing this post; or (c) setting the room on fire. Which, admittedly, may seem a bit drastic. I did kick off the New Year with a burst of organizational zeal, though. Tackling the craft armoire that was busting at the seams. Using a chalk pen that I found in the paint pen aisle in the craft store, I simply hand wrote out each jars’ contents. I mean, otherwise how would you be able to tell what contents are in what jar through the clear glass …? our next wine and design is chalkboard it! i am going to do this- pinned it! love it! 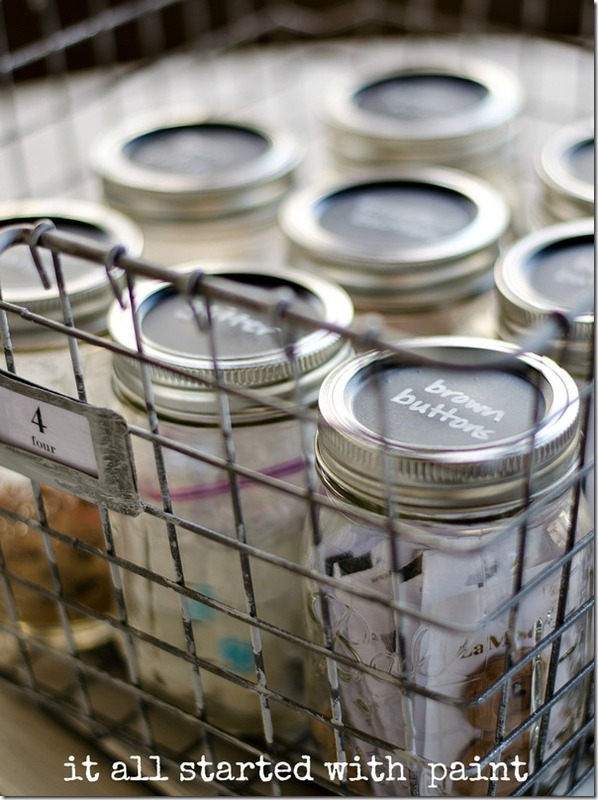 Love all your creative organizational ideas…Definitely using this for gift ideas!! Have a great day Linda! My glitter is related to your glitter. In the reading of this post, a perfectly good triple shot latte was sprayed upon my lovely ipad screen–I never saw choice ‘c’ comin’! :-). I ALWAYS enjoy your posts, often chuckle, but today your blog officially entered the ‘do-not-drink-&-read’ category. You basketful of paint-enhanced jars is so cute & practical–love,it! Sigh. It does end up coming around to option e doesn’t it. The end result is worth it but oh the getting there! 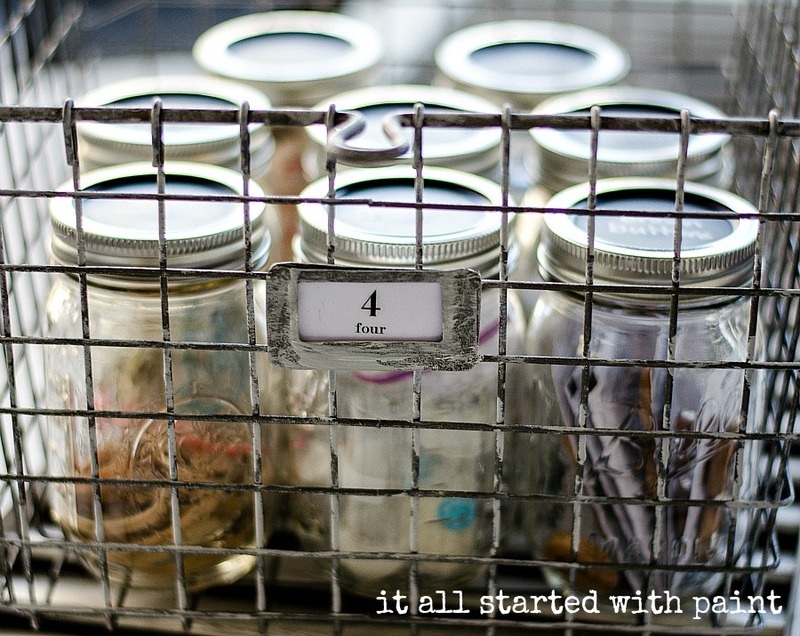 Lvoe the mason jar organization 🙂 Mason jars just make anything cuter. This is so cute! I struggle with organization. I have a system, and it works, as long as I put things back where they belong, and are labeled to go. I just struggle with putting things back where they belong and are labeled to go. The rest of my house is so clean, why, why, WHY?? can’t I just get with the program! It is like I am the kid and the mom. I want to be in control and leave the mess out. I think I need to have my husband tell me to put it away. He doesn’t care. Sometimes I tell my students to “Pretend they’re Mr.. nike and JUST DO IT!” But that belief does not extend to me. Come teach me how to organize. 🙂 I didn’t know chalk pens existed! 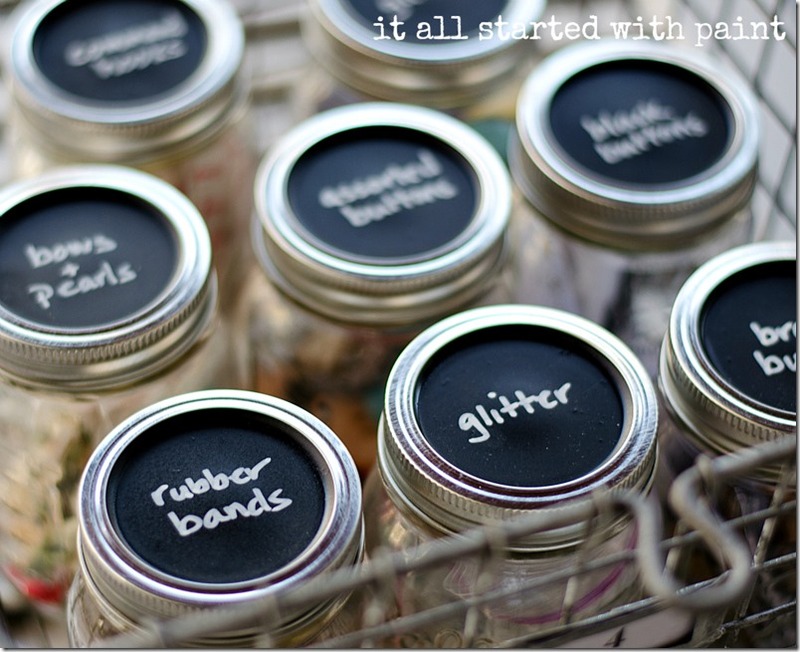 Super cute way to stay organized and keep that friendly glitter in its own place! So pretty! 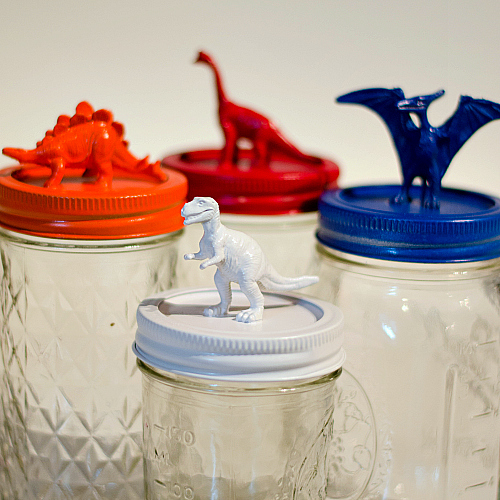 They totally need mason jars that hold large primary-colored toys. OK, so you’ve been reading my mind. Over the weekend, I actually did tackle a shelf — and rediscovered some things I’ve been looking for … for (um) a couple of years! WHY oh why did I let things get this way? Today… I’m choosing “e” with you. Let’s reclaim our spaces — and our sanity! 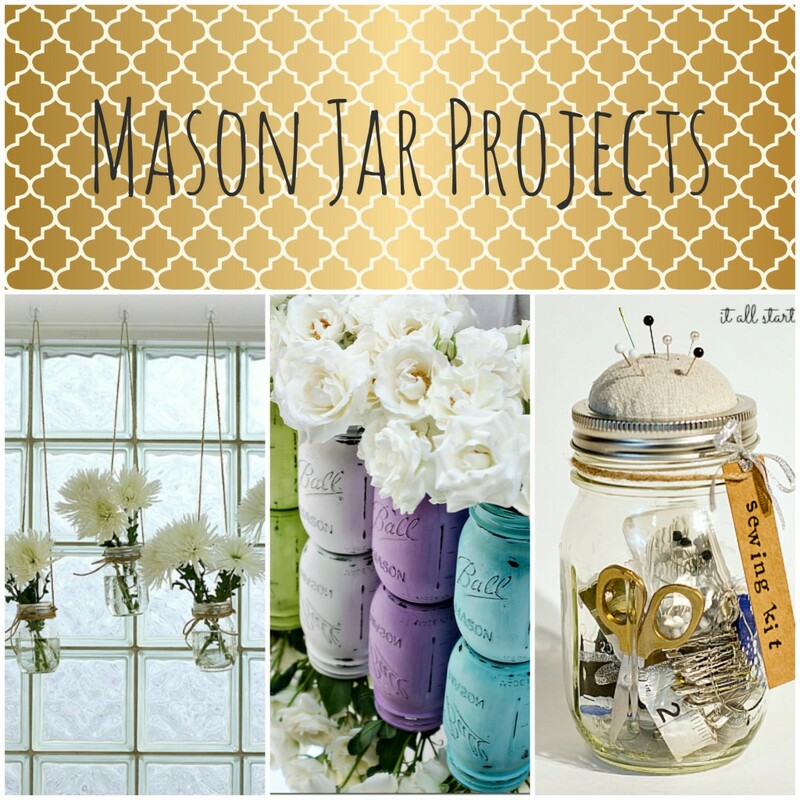 I’ve seen your jars on Pinterest and thought what an incredibly ingenius idea! I am totally doing this! Thanks for sharing! I really like this idea. But I especially like your writing style! This is such a cute post. And cute jars, too. I love how you used them to organize your craft supplies. I could use a lesson. And your family room? I have one just like it. That’s why you won’t find any pictures of it on MY blog either. heh heh. Aren’t we so clever?? Hope your hand is feeling better. Great idea! I love this. Thanks so much for sharing. Wow! It’s been too long since we’ve chatted! I see you’ve been pretty busy with all kinds of fun things! Love this idea and of course, your sense of humor only makes all things good!! Thanks for the smiles and giggles ~ and of course another reason to get out my chalk board paint. Hmmm… spray or can? I have both.. don’t ask me why!!! This looks fantastic! So simple and so effective. Your writing is so fun and lighthearted too! Thanks for sharing! 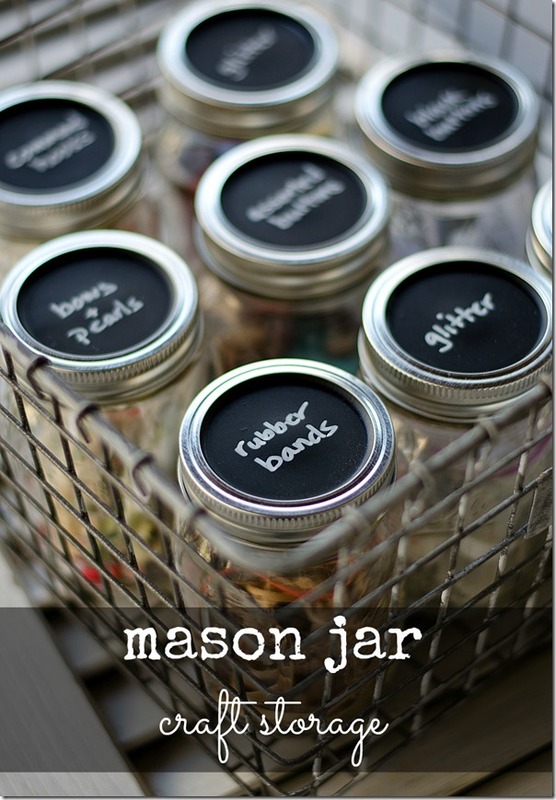 I just recently found out that Chalk Pens work great on the mason jar lids without havin to use chalkboard paint! I can’t believe I missed this post! LOVE this idea, you are a genius!! Where did you get your wire baskets? 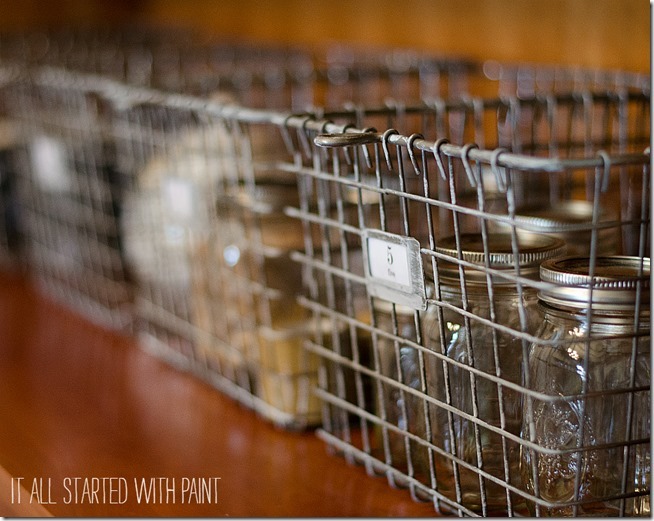 I love how simple and clean your mason jar storage is! 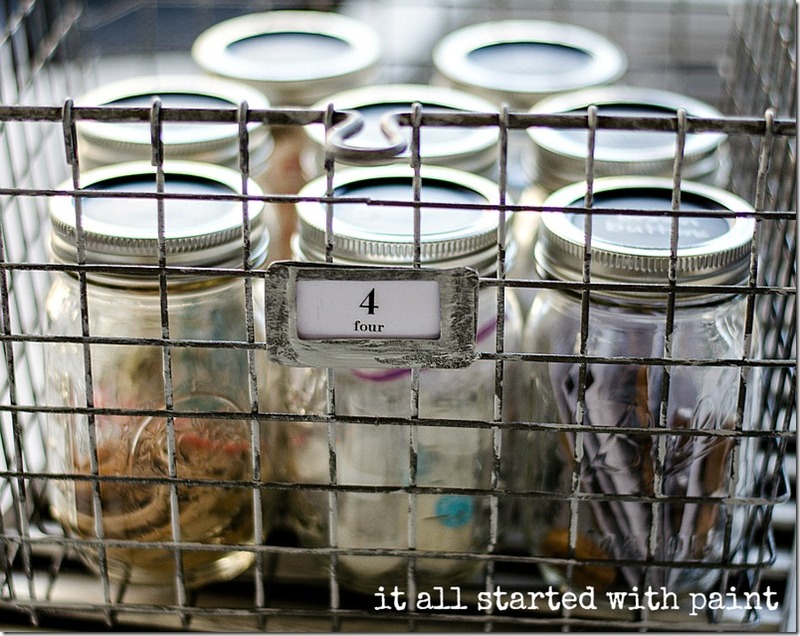 I”m including them in my latest post about creative space storage. Thanks for sharing! When I was working (forced to retire in 2009) and the kids were little, the house looked like a tornado hit it despite my efforts to keep it in order. My mother gave me the best solution. Close the door and don’t look at the mess in my son’s room. Today, my son has the cleanest and neatest house! The floor is so clean that you can eat off of it! No walking in the house with shoes on (the floors are heated anyhow!) BUT he has no kids! LOL!! Retirement and a new house with an open concept forces me to keep some kind of order in the house. It takes me a whole 30 minutes to clean the house….45 if I dust – 1 hour if I get distracted. We (hubby too) have learned to pick up and replace things as we go along. Just doing the bed makes the room look neater. My yarn and coloring supplies sit in a basket in my living/family/boudoir/tv room. It takes me a whole 5 minutes to vacum the two carpets! the rest of the house is hardwood floors – damp mop once a week..let’t not get crazy here. It has been a long winter and I cleaned up my craft room – similarly I used old mugs for pencils crayons – an old spice rack for my glitter – old (vintage) crystal? glass serving platter holds various things. Everything in the room is a souvenir or was once a gift thereby no money was spent except for a few photo boxes. 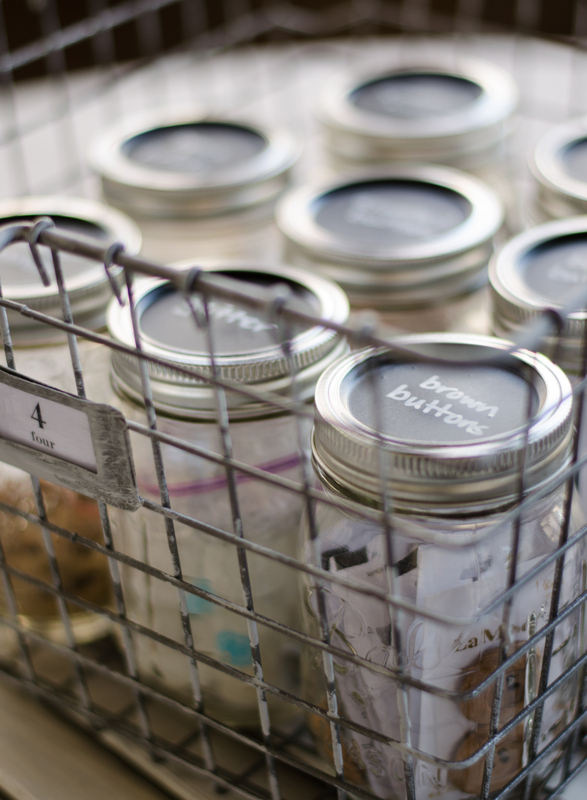 My mason jars that hold ribbon and stickers are really old spaghetti jars…My old cookie jar holds alphabets… All to say that there is a light at the end of the tunnel and one day your house will be nice and orderly and clean….then the grand-kids come and mess it up! LOL! !